Have you ever had an epiphany—a moment in time when you experience the Divinity of all things? Perhaps a particularly high meditation or a moment out in Nature when the world stands still and everything is perfect? During a Transmission of Light, if you are open and receptive, this is exactly what happens. The 3rd dimensional world falls away and you glimpse your own Divine Nature. The beauty of a transmission is that the inherent nature of Light, which is supremely intelligent, dictates the quality of Light you receive. For each person, the transmission is unique and the result is that you receive exactly what you need. Light alters consciousness and raises awareness. If you are truly open to the Light during a transmission, you receive an empowerment. Your being fills up with power and you can take that power and do with it whatever you like: you can use it to make money or to make a spiritual leap in your evolution. It’s completely up to you. And, perhaps most importantly, Light has an accumulative effect. With each Transmission of Light, your Being is clarified and strengthened and you become better and better able to receive, ground, and embody Light—for yourself and for the collective. 1. Watch the YouTube “How to Gaze”. 2. Select something to gaze. You may want to use fresh flowers or a special rock for gazing. 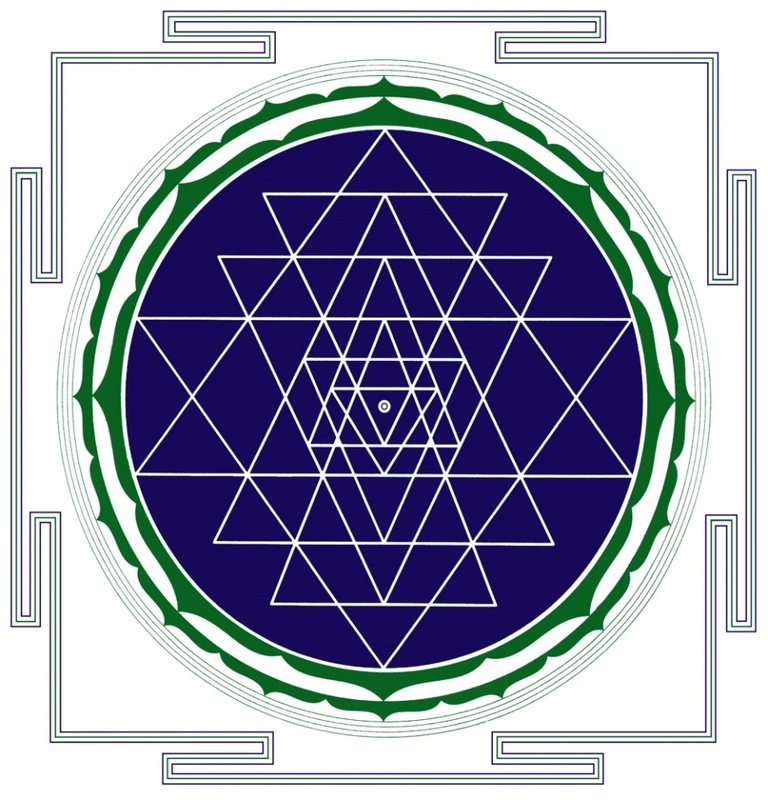 Alternatively, you can use a Yantra, a geometric design used for gazing. 3. Watch the YouTube “How to Receive a Transmission of Light“. 4. Listen to this short clip on “How to Anchor the Light”. Lucia’s first worldwide Transmission of Light teleconference. For this Transmission of Light, Lucia was unable to attend due to technical difficulties. Her assistant, Alejandra, guides all the participants on the call to become channels for the Light and the group focuses of the different countries around the globe. Afterwards, people share their experiences of self-empowerment. In this Transmission of Light teleconference, Lucia speaks about the interference that occurred on the 02/07/15 teleconference she was unable to attend. She also explores manifestation and how to do this after an empowerment. Lucia speaks about the energies that are playing out on the earth, then gives a Transmission of Light. En esta primera teleconferencia en español para el mundo hispano, Lucia realiza una transmisión de Luz para América Latina y España. Nos guía atreves de una meditación y explica como funciona una transmisión de Luz y el efecto que esta puede tener en nuestra evolución espiritual. En esta segunda teleconferencia en español para el mundo hispano Lucia realiza una transmisión de Luz para América Latina y España.